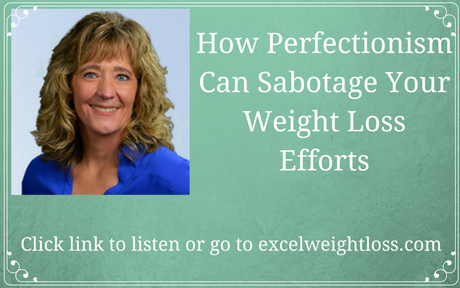 How Perfectionism can sabotage your weight loss efforts. Are you an “all-or-nothing” person? If you eat a cookie or a piece of candy are you ready to bag your whole program? If you can’t exercise daily doing just the right thing, do you give up? Being a perfectionist makes life challenging in and of itself, but when it comes to weight loss it makes losing and keeping it off nearly impossible! Join me as I discuss just how adversely this personality trait may be affecting you and learn some tips for shifting this energy.